Italy is not for the faint of heart or slight of foot. 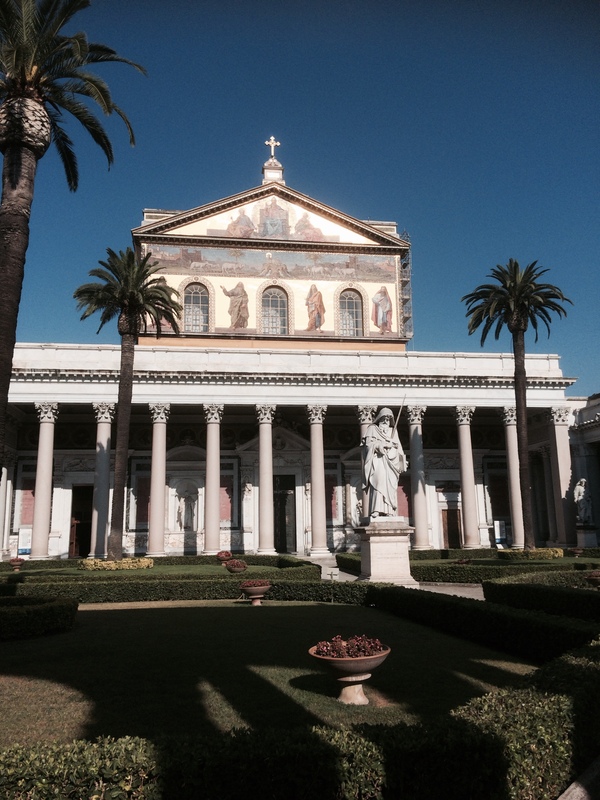 Being of a certain age, I could not help but notice the potential pitfalls as we explored the wonders of Rome. 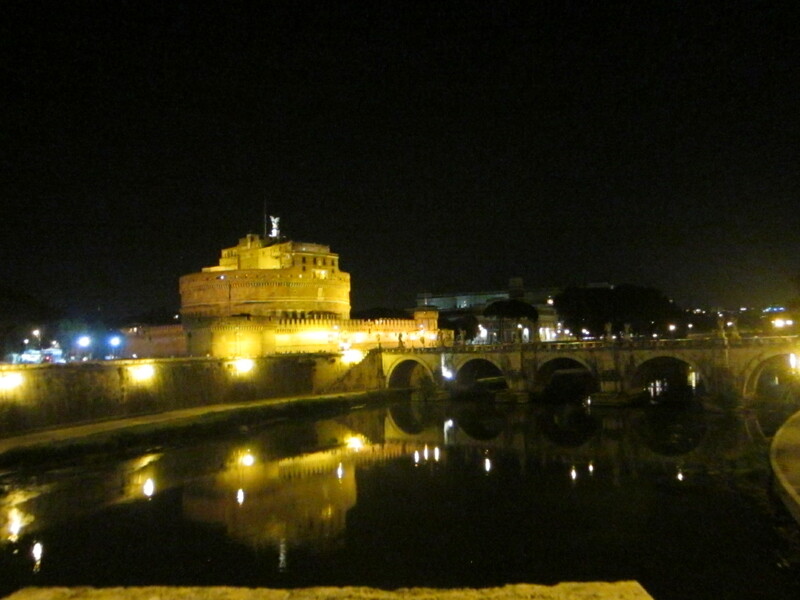 Roma, as it is commonly known, is awe inspiring. During the sweltering near record perspiration dripping July heat, the throngs of tourists intermingling with the bustling crowds of locals brought 80 AD Roma to mind. 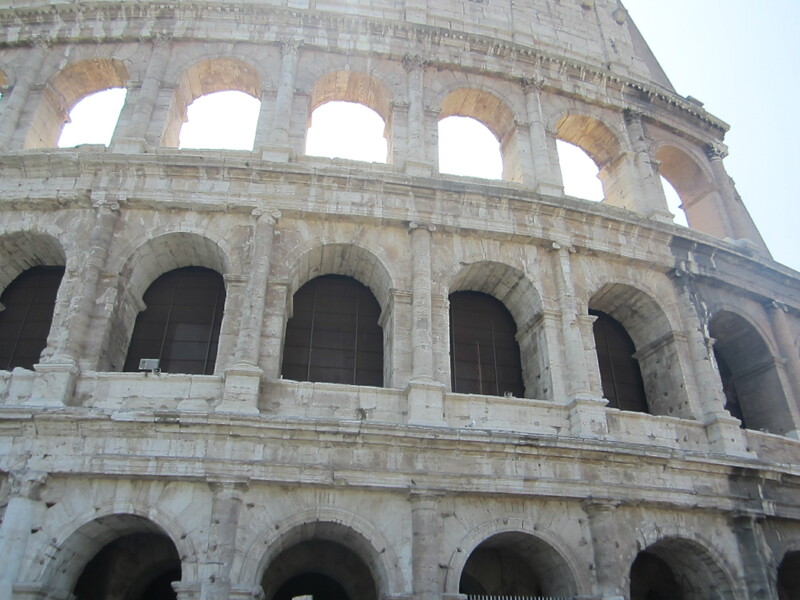 As we lined up patiently waiting for entry into what was once a gift to the Roman people by Emperor Vespasian of the Flavian dynasty, the sheer majesty and grandeur of the Coliseum’s stone ruins was still evident. 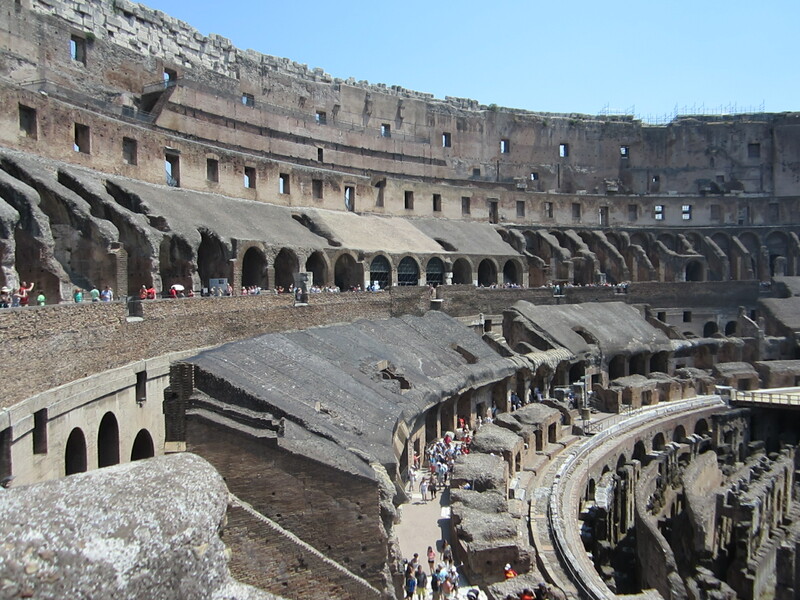 It took very little imagination to envision Gladiators entering from one of the many arches as they engaged in hand to hand combat in hope of winning their freedom. Weaponless, the Gladiators fighting often to their death, against the victorious animal predators. The crowds, at times 50,000 strong rallied in support of this unfathomable entertainment. As we traipsed up the steep and narrow steps to the Coliseum’s second level, once again I thought of how important it is, when planning a vacation, to know what modifications exist, if any, for someone who may require assistance with ambulation, including seniors, who may or may not be able to climb stairs or have the steadiest of gaits. 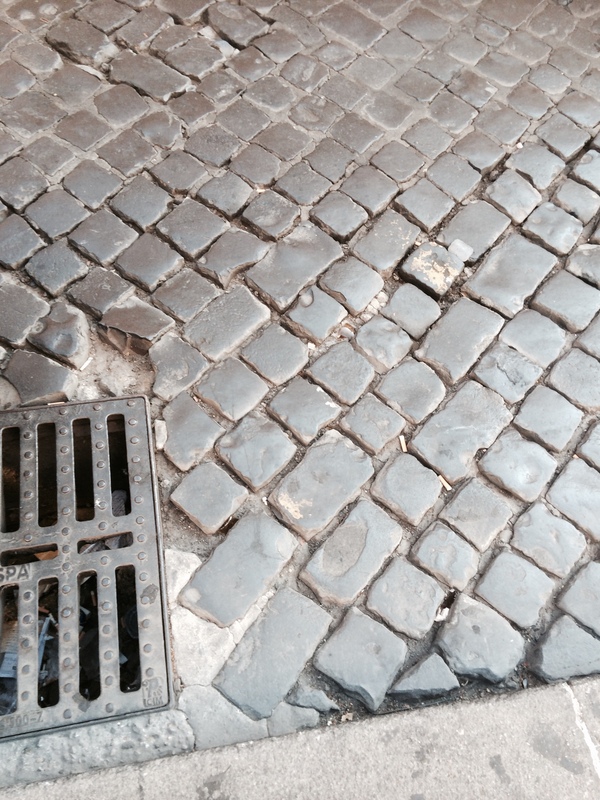 Cobblestone paved streets dating back 2000 years are the norm in many of the cities we visited. 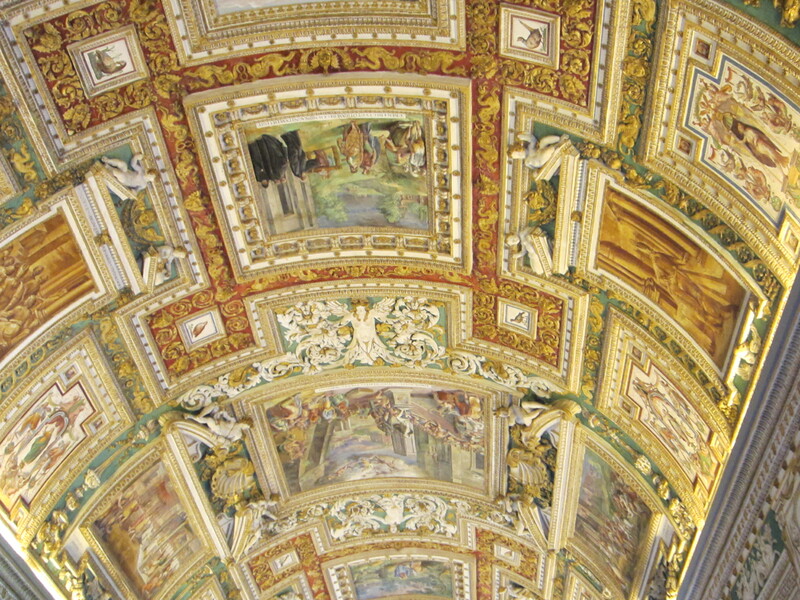 Their beauty is undeniable, their longevity a testament to Italy’s rich heritage. Although some of the streets have been repaved to make them safer, comfortable shoes providing good traction should be worn when out and about; I suggest leaving the high heels at home. There are many good guide books, such as Rick Steves’ Italy, or Fodor’s Italy, that can help you with the dos and don’ts as well as the “must sees” while you are in Italy. The true splendor of the arts, sculptures, and history is apparent on every corner. What is also evident is how much we, as Americans, take for granted, for example, the disappearing landscape of cigarettes and cigarette vending machines. In Italy, smoking cigarettes is still a popular habit. As I noticed the uneven cobblestones streets and infrequent wheelchair accessible ramps it brought to the forefront of my mind how far we’ve come over the years in revamping our public areas for citizens with special needs. It is because of legislation such as the American Disabilities Act of 1990 that our streets have been made accessible and safer for all. When planning your trip abroad, a knowledgeable and reputable travel agent will assist you in planning the itinerary and tour that works best for you. If you have any special needs or requests or if you require any assistance don’t hesitate to ask. A trip to Italy is definitely worth it! Thank you, it was a great trip. I recommend it wholeheartedly.